solutions with a developed methodology/ framework to help customers reduce implementation time and maximize business value. The first step in understanding the complex relationships between your products and your customers is to obtain an accurate view of products, product categories, and duplicate/dirty data from disparate business systems. NavTek helps supply chain organizations with product normalization (Product MDM) through fast, automated categorization, which helps retailers improve purchasing, inventory, and downstream analytics applications. Retails can win higher margins and increased marketshare with advanced data science through Market Basket Analysis. Beyond SQL, advanced analytics enables unprecedented insight including statistical significance, lift, and visualization of the complex relationships across all products and all stores. The relationships uncovered through this solution help retailers develop more profitable advertising and promotions, improve loyalty card offers, attract more visitors, and increase the size and value of market basket purchases. Our solution helps retailers price their goods and services based on metrics like competitor pricing, affinity analysis, supply chain and inventory data, market data and customer buying patterns. Immediately improve the ROI of marketing campaigns by leveraging advanced data science to study customer behavior data from internal and external data sources, used to design personalized marketing campaigns that generate unprecedented response rates. Data quality is most important aspect of BI solution which is overlooked in many places. It is important to gain business confidence on data what they see. Success of any analytical solution resides on providing high quality data to business and meaning of data presented to business. 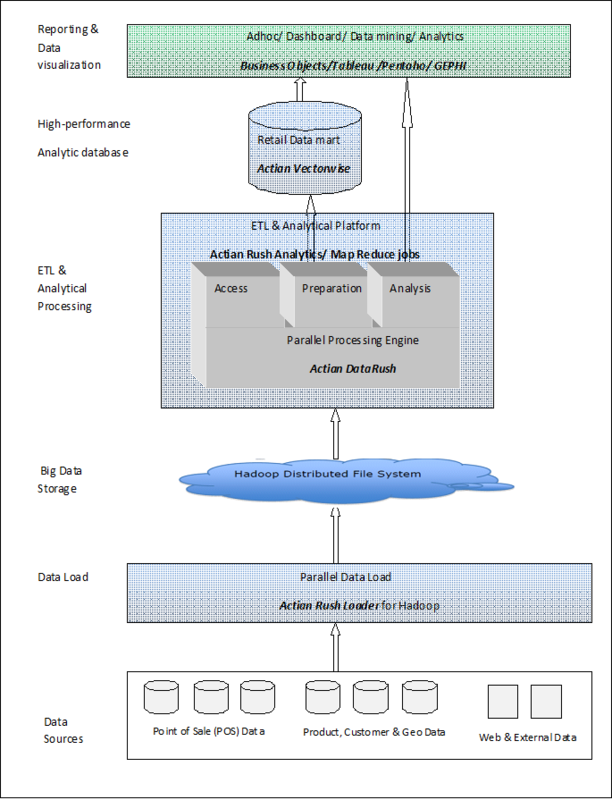 Automation of data quality process along with daily ETL jobs. Data cleaning of existing data like address standardization. Building data dictionary for EDW and data marts which helps build business value for data. We also enforce single source of information with this process.